Forget what you thought you knew about hunger in America—in the new economy, even working parents and their kids are short on food. Inside a growing epidemic that’s even encompassing dual-income families. Plus: How to help. A few years ago, I met a young woman named Becky Darnall, in the depressed central Oregon community of Alvadore. Darnall’s husband worked as a short-order chef, and she picked up part-time, casual jobs as a housecleaner. They had three children and a combined family income in the $30,000 range. The Darnalls were deemed too affluent to qualify for government assistance, yet in reality they were too poor to pay all their bills—especially as gas prices spiked and Mr. Darnall’s commute to work became more expensive. When Becky suffered an asthma attack that resulted in a steep emergency-room bill, their debt deepened. The family survived largely through the help of a food pantry run out of a small wooden church near their home. It provided the Darnalls with bread, canned soup, canned vegetables, and applesauce for the kids. Click here to read about The Daily Beast’s exclusive ranking of the states with the most disproportionate hunger problems. Plus: How to help alleviate hunger close to home. These families represent the new face of hunger in America—the cutting edge of a growing epidemic. This week a new report from the Economic Research Service found that about one in six Americans are no longer economically secure enough to adequately feed themselves. It is the worst hunger crisis since the government began to quantify the problem 14 years ago. And in an exclusive Daily Beast ranking, we found that even many wealthy states—urban and rural, red and blue—have done a poor job helping their hungry residents find affordable food. The new hunger crisis is distributed among not just the poorest of the poor, but, increasingly, among the near-poor: people who work but have seen their low-end wages stagnate, their disposable income eaten up by rising gas prices, and their financial security eroded by a lack of health insurance and the bubble-bust trajectory of the housing market. These men and women eat badly: cheap, starchy food; low-end meat; rarely any fresh fruit and vegetables. They often miss meals. And when they do have money for food, they too frequently binge on sugary, salty, fast and junk foods—the sort that fill one’s belly and satiate feelings of hunger, but, over the long-term, do all sorts of damage to one’s body. Hence the strange, much-noted phenomenon that in 21st-century America, obesity is all too often a sign of low-level hunger or chronic food insecurity. Sixty-six-year-old grandmother Audrey Rivera first got into trouble in 1986, when she hurt her back while working as a baker at local retirement home. After many surgeries, she was finally forced to retire. But the money wasn’t there to buy food; she had only $40 a month in Food Stamps and a few hundred dollars from her deceased husband’s pension to tide her over. Once she hit 62, she got about $1,200 a month in Social Security, but much of that was immediately spent on medications. And so, to survive, she started showing up at the Amarillo Resource Center food bank, in the windswept Texas Panhandle. To assuage her pride, she also volunteered at the center, allowing her to claim the free food was her due. About 10 million households experience this low-level food anxiety—they worry where their next meal will come from, but, when push comes to shove, a combination of government aid, private charity, ultra-cheap junk food, and credit-card debt allows them to avoid actual hunger. Close to 7 million families, however, are now so food-insecure that they actually miss meals. And that’s the number to focus on: The ERS report concluded this category increased from 4.7 million households to 6.7 million households in just one year, from 2007 to 2008. Given the vast increase in unemployment and underemployment in 2009, when this year’s numbers are crunched, the data will likely be even bleaker. Common sense suggests the poorer a state is the higher a percentage of its population will be hungry. Usually, that’s true. In recent years, however, there’s been a divergence. Sure, historically poor states such as Louisiana and Mississippi continue to post shameful hunger numbers, but so, too, do more affluent states like Oregon, Texas, and Vermont. All around the country, the numbers of people on Food Stamps have soared in recent years; it’s currently over 32 million and rising. Some states do a better job than others of enrolling their eligible poor—Texas does a pretty good job here, California an awful job. Jilly Stephens quotes research indicating that a family of three in New York—the city with the highest cost of living of any metropolitan area in the country—needs upward of $50,000 a year to enjoy a reasonable amount of economic security. Yet the Food Stamps eligibility cut-off for a family of three is only $23,000. Not surprisingly, as the economic slump continues, more workers face reductions in their hours or cuts to their pay rate, and the population falling into this poverty trap grows. Over the next year, as more and more Americans use up their unemployment insurance, empty their savings accounts, and raid their retirement nest eggs to meet everyday expenses, Stephens and other food pantry workers nationwide expect surges in demand for their services. Get Involved: If you grow food in your kitchen garden and want to donate excess produce, contact www.ampleharvest.org to be linked up to nearby pantries. Most cities also have a food bank. To find your local food bank, visit http://feedingamerica.org/foodbank-results.aspx. In New York, City Harvest feeds 260,000 people weekly with food donated from restaurants; the group also connects low-income communities to fresh, local produce. 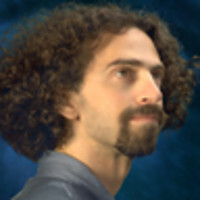 Sasha Abramsky is the author of Breadline USA. His next book, a profile of President Barack Obama titled Inside Obama’s Brain, is being published by Penguin’s Portfolio imprint in early December.